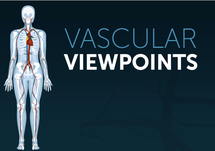 Dr. Jennifer Caudle: Welcome to Vascular Viewpoints on ReachMD. I am your host, Dr. Jennifer Caudle, and joining me today is Dr. Kevin Baskin, an interventional radiologist from Pittsburgh. Today, we will be decoding how hospital-acquired conditions impact health care professionals and their institutions along with some of the common misconceptions surrounding HAC scores. Dr. Baskin, it's really great to have you on the program. Thanks for joining us. Dr. Kevin Baskin: Thank you so much for having me. Dr. Jennifer Caudle: Absolutely. So, let's briefly review HAC scores for our audience and, to start, what does this measure specifically? Dr. Kevin Baskin: Well, Dr. Caudle, HAC stands for Hospital-Acquired Conditions and the government effort to encourage the behaviors called the Hospital-Acquired Condition Reduction Program. This is a penalty program that is mandated by the Affordable Care Act that began in the fiscal year 2015, and it requires the Centers for Medicare and Medicaid Services, or CMS, to reduce hospital payments by 1% for hospitals that ranked amongst the lowest performing 25% with regard to the hospital-acquired conditions. It is important to recognize that this is only a penalty program that reduces payment for underperforming institutions. There are no incentive payment programs with higher scores. Dr. Jennifer Caudle: And how are these HAC scores calculated? Dr. Kevin Baskin: One strategy is to identify adverse patient conditions that are provider-preventable to measure how many of these provider-preventable conditions, or PPCs, occur during hospitalization and to penalize the worst transgressors in order to encourage providers to avoid causing these PPCs. So, HAC scores have evolved over time to identify which of these PPCs happen in the hospital. In other words, weren't present at the time of admission. They focus on two domains; Domain 1 only has one measure called the Recalibrated PSI 90 Composite. PSIs are Patient Safety Indicators and there are currently ten Patient Safety Indicators that are part of this measure. 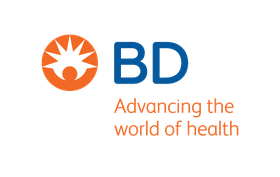 The second domain includes some specific measures, including CLABSIs or Central Line-Associated Bloodstream Infections, CAUTIs, Catheter-Associated Urinary Tract Infections, SSIs, or Surgical Site Infections, MRSA, or Methicillin-resistant Staph Infections, and CDI, Clostridium difficile Infections. Each of these cause significant illness and death in the U.S. each year. Dr. Jennifer Caudle: Great. Now what benefits have HAC scores had on hospitals from your vantage point? Dr. Kevin Baskin: Well, Dr. Caudle, HAC scores have definitely captured the attention of hospitals. Hospitals work on a very narrow profit margin, maybe 3 to 4%. In the fiscal year 2015, that margin fell from 3.4% on median to 2.7% in the fiscal year 2016. The loss of 1% of Medicare and Medicaid payments may not sound like a lot, but when you consider how large a proportion it is of their total profit, you can imagine that it may represent a considerable threat to their existence. Also, the performance of hospitals with regard to these methods is publicly reported and is available on websites that identify the performance of each hospital against its competitors. Anything that threatens the public image of the hospital is high on their radar. For these reasons, hospitals have mobilized resources and energy focused on reducing their vulnerability to these penalties. Teams are encouraged to develop strategies to reduce these infections including educational programs, interventions at the bedside, compliance with national standards and guidelines and so forth. To the degree that these awareness and education programs improve good behaviors sometimes as simple as handwashing, they can be a great motivation for optimizing care and reducing adverse outcomes. Dr. Jennifer Caudle: Excellent. And what are some negative impacts from HAC score monitoring that you've seen play out in practice and at the administrative level? Dr. Kevin Baskin: Quality data that accurately identifies root causes of preventable complications and that guides optimal cost-effective strategies to correct these root causes is enormously difficult and costly to obtain. When I say enormously, it is hard to overstate the level of difficulty. After that, the great number of confounding factors that may influence the accurate measurement of these outcomes and the ability of statistical analysis to even unwittingly bend the numbers in their desired direction, and it is not hard to understand how well-intentioned programs that aim to reduce adverse outcomes sometimes achieve apparent statistical improvement but find with irritating consistency that those results fluctuate wildly after an initial period of success. With the large amount of money and effort that is expended in these efforts, it is significant motivation to see that they succeed, even when they don't. Not reporting an occurrence is somewhat less enormously difficult and costly, so one of the unintended consequences of these penalty policies is that they drive bad behavior. 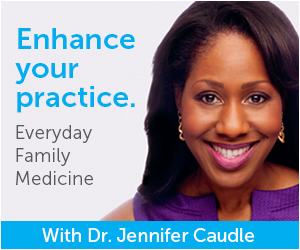 Dr. Jennifer Caudle: Interesting. So, let's explore what conditions drive HAC scores to be misleadingly low and, on the flip side, misleadingly high in hospital settings. Starting with the low scoring circumstances, what have you seen there? Dr. Kevin Baskin: Well, these are self-reported scores, so the hospitals are responsible for documenting when they occur and were, they present at the time of admission. Because, for example with CLABSI or Central Line-Associated Bloodstream Infection, the key features there are central line and bloodstream infection. The hospital needs to find a correlation between patients who have central lines in who develop a positive blood culture and who don't have some other explanation like pneumonia or a urinary tract infection for that positive blood culture. So, at the time that these penalties were first implemented, prior to this particular program but along the same lines, in 2007, we saw that the frequency with which people obtained blood cultures in patients with central venous catheters plummeted dramatically. In other words, if you don't document the positive culture, then you don’t have to document a positive CLABSI. Does that make sense? Dr. Jennifer Caudle: It does. Dr. Kevin Baskin: So, that in itself is a tremendous problem and we see this playing out every day in the clinical domain patients will come in with signs and symptoms of infection and perhaps they'll remove the catheter and treat them with antibiotics, but if they don't draw blood cultures, then they're not obligated to report a CLABSI. And that in itself can artificially decrease the number of reported cases. Dr. Jennifer Caudle: So, what conditions or circumstances could drive HAC scores to be misleadingly high sometimes? Dr. Kevin Baskin: Well, for example, if a patient enters the hospital with signs and symptoms of an infection, they may be documented by the emergency physician, for example, who first sees the patient in the hospital. But, if that isn't documented as a possible or a diagnosed central line-associated bloodstream infection and that shows up later in the hospital admission, in the absence of direct evidence from a provider that it was present at the time of admission, that gets attributed to the institution. And so, failure to precisely and accurately document these events at the time of admission can lead to elevated reporting that isn't really due to preventable behaviors on the part of the institution. Dr. Jennifer Caudle: For those just tuning in, this is Vascular Viewpoints on ReachMD. I’m Dr. Jennifer Caudleand joining me is interventional radiologist Dr. Kevin Baskin. Today we’re discussing some common misconceptions surrounding HAC scores. So, Dr. Baskin, now I'd like to focus on a couple of additional HAC score factors that may impact performance and care decisions. In terms of vascular access care, are central line insertions actually the main contributor to HAC scores or is this a common misconception by those outside the field? Dr. Kevin Baskin: Well, to be honest, Dr. Caudle, I'm not sure that that's well understood. I'm unable to find the numbers that compartmentalize the contribution of each of these features like CLABSI, CAUTI, SSI and so forth to the overall HAC score. It is interesting to note though that, for example, I think in 2017 there was a paper published that looked at self-reporting by the institutions of these HAC scores and what they found was that I think in 1,089 hospitals they reported a 0 level of HACs, hospital-acquired conditions, in four of those five categories. Different four and five, hospital by hospital. But you can see that there's a tendency to self-report a high level of accomplishment in these HAC scores and, in truth, it's hard to determine whether the single HAC score that might be reported as abnormal is kind of self-selected by the institution that creates their overall vulnerability or to improve the appearance of compliance or whether it's an accurate measure. So, I don't think, even if we had a number in front of us, that we could put a lot of reliance on it. Dr. Jennifer Caudle: Okay. That makes a lot of sense. Now, a question about the delay of HAC scores. Does the one to two-year delay of HAC score outcome reports to hospitals impact their performance or ability to respond? Dr. Kevin Baskin: Well, Dr. Caudle, there is kind of a backhanded response to that which is, if you're not gathering quality data, then the lag time before you see it doesn't really impact your success rate at actually preventing these provider preventable complications. So, in fact, the target has been moving so fundamentally over time, there are different elements that are included in these domain scores, there are different time periods that are being considered, the time period for 2019 is significantly different from prior years, and so there is very little consistency from year to year anyway. Dr. Jennifer Caudle: Okay. Well, before we wrap up, Dr. Baskin, are there any additional takeaway thoughts on HAC scores in vascular access care settings that you wanted to discuss. Dr. Kevin Baskin: I think there are positive ways to reinforce desirable behaviors, but we really need to be on top of the data. We need to be able to extract quality data from workflow that doesn't require boots on the ground collecting and reporting the data. It should really be generated almost as an automatic response to the qualifying conditions that the patients demonstrate during their hospitalization. So, if they're showing signs and symptoms of an infection, we should be able to identify those by their temperature, their heart rate, their blood pressure, and so forth, that they're at risk. And so, to the degree that that can be automated and integrated into the electronic health record and connected to reporting to National Surveillance Networks, then I think we can move forward rewarding positive behaviors instead of trying to squash negative outcomes. Dr. Jennifer Caudle: Great. Well, with those final takeaways, I would like to thank you, Dr. Baskin, for sharing your thoughts on the common misconceptions surrounding HAC scores and their impact on vascular access care decisions. Dr. Baskin, thank you so much for joining us. Dr. Kevin Baskin: Thank you so much Dr. Caudle for having me. It’s time to separate fact from fiction: what HAC scores are, and how they affect your institution and your vascular access care decisions. 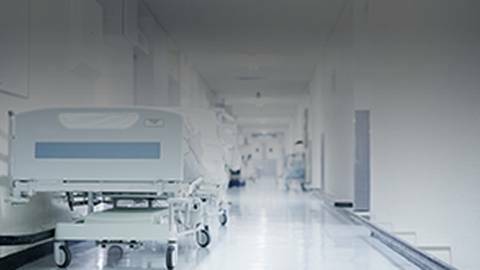 In an effort to decrease the prevalence of hospital-acquired conditions (HAC), the Hospital-Acquired Condition Reduction Program reduces payment for underperforming institutions. But even though this program began in 2015, there’s still misconceptions surrounding HAC scores. To help clear up the confusion, Dr. Jennifer Caudle is joined by Dr. Kevin Baskin, an interventional radiologist from Pittsburgh.